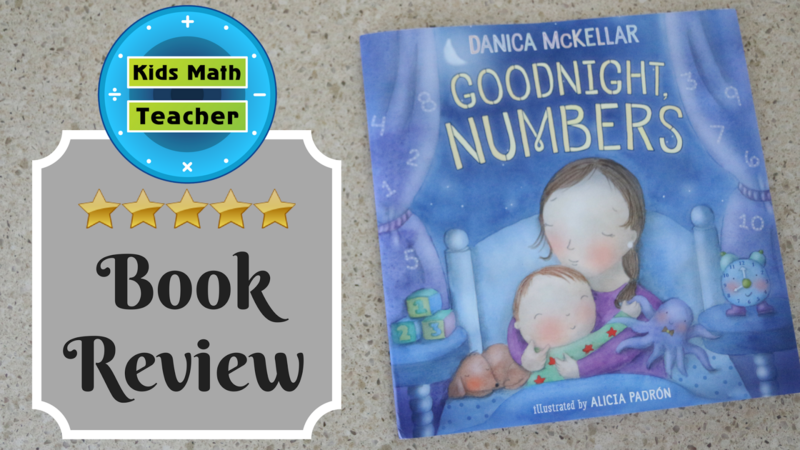 Kids Math Teacher: Danica McKellar's GOODNIGHT NUMBERS book review! Available now! Danica McKellar's GOODNIGHT NUMBERS book review! Available now! 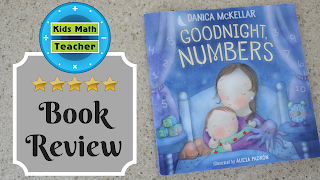 I had the honor of reviewing a brand new book by Danica McKellar -- Goodnight Numbers. It debuts today! You can order your copy on Amazon or go to your local bookstore. It's a great hands-on approach to counting! While somewhat like Goodnight Moon, Goodnight Numbers shows young children getting ready for bed and offers many opportunities for your kids to count up to ten with the theme number of the spread. Each page has the number written in numerical and written form and is perfect for your little ones to practice tracing with their fingers! As you go through the spreads and explore the scenes, your kids will discover several groups of items. It has some that are easy and some that are more difficult for slightly older kids. Overall, I suggest this book for children ages 0-6. I'm sure that at some point Crown Books will make this into a board book to withstand the hours of engagement this book will have over it's lifetime on your shelf. My four and five year old kids had a great time looking through the pictures and seeing if they could find ALL the grouped items. My kindergartner recognized the ten frame they have hanging in each picture too! I give this book five stars! It's engaging and sure to be a hit with your little ones! What are some of your favorite math picture books? Thanks for finding my review! I admire your work with this book and I'm so glad it made your day! Best of luck with your art and everything!